So. My daughter is less than a month away from 11. And these past 2 years have been a new place. I didn’t know she would grow so much and so different in these short years. Tweens are a real thing. Tweenage-dom is a real place. And what I didn’t know is that you have to start prepping for it before they are tweens. In fact, experts say tweens are 8-12 year olds. EIGHT!! My boy is eight right now! How can he be a tween?! Well, I don’t want you to be caught unawares about this new place in your parenting and in your kids’ life. So, here’s a few resources I’ve been using, loving and devouring over the recent months. 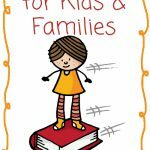 Six Ways To Keep The Little In Your Girl by Dannah Gresh // This is the book that really started it for me. 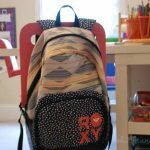 It goes through everything from what kind of dolls you should give your little girl, how to introduce the birds-and-the-bees when she’s super little, how to approach her period and more. It’s an easy read but full of the stuff you wish a been-there-done-that mom would have sat you down and told you. I wish I’d read this when my daughter was 3. It’s Great To Be a Girl by Dannah Gresh // This is a devotional for moms and daughters. I cannot tell you how much I love it. It is similar to the popular American Girl book, The Care and Keeping of Me in that it talks about taking care of your hair, wearing makeup, etc. However, it approaches all these new things with the Bible in mind. Our main takeaway of the book? Our life (bodies, talents, etc.) is all about giving glory to God. Period. You have to do this book with your daughter when the time is right. Tickets to the Purple Party Tour // Dannah Gresh is the founder of Secret Keeper Girl which is a ministry that is basically to connect moms with tween-daughters. 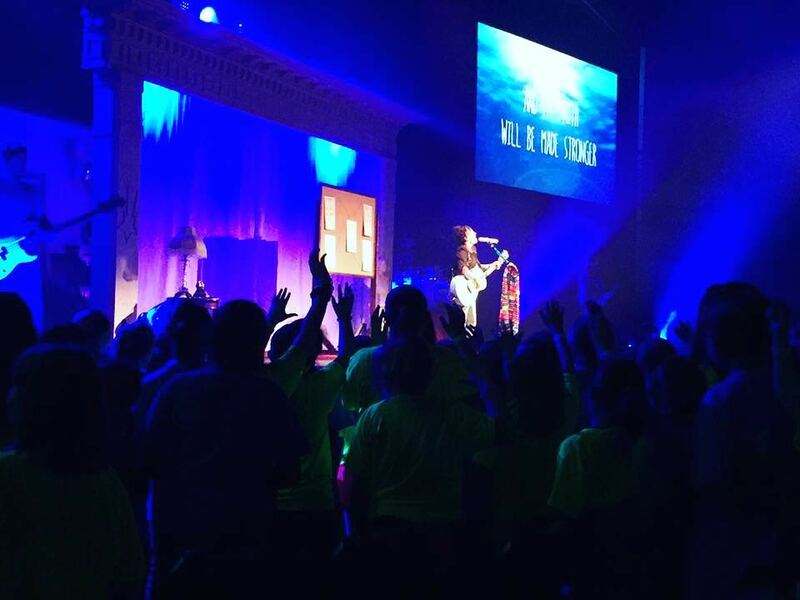 They do a huge road show that is basically cool young adults singing on stage, little girls playing games where they scream at the top of their lungs and amazing teaching about how God made them from head to toe and has a great plan for them. 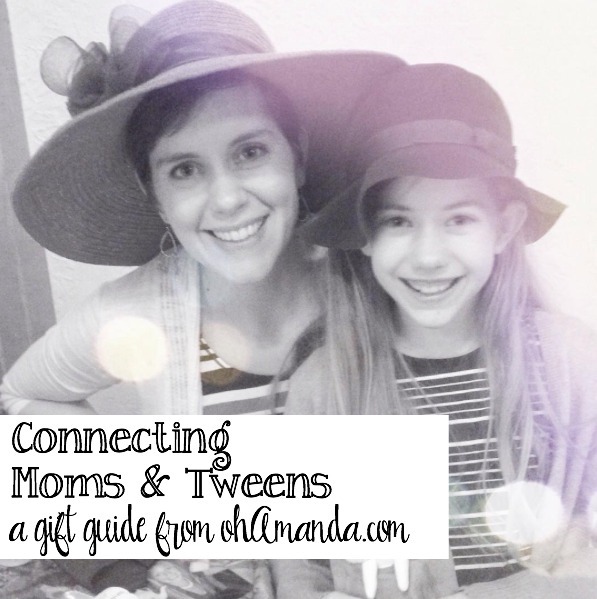 Round up all your daughter’s friends and their mamas and make a giant girls-night-out of it. Monthly Online Devotionals // Secret Keeper Girl also hosts monthly online devotionals for you and your daughter to watch together. Check our their FB page for details. Just Mom and Me // This is an American Girl book with quizzes, games, little punch out extras all with the intent of connecting with your daughter. My daughter absolutley loves sitting down with me and this book. It also includes some really fun girls-night-out ideas. Mama and Me Journal // I think I posted about this journal a few years ago when I gave it to Lydia. We honestly don’t use it a lot. But we have used it. Specifically on a very hard and trying day, I discovered it on my bed with a single sentence inside. I knew then it was a valuable tool for communicating with my tween. 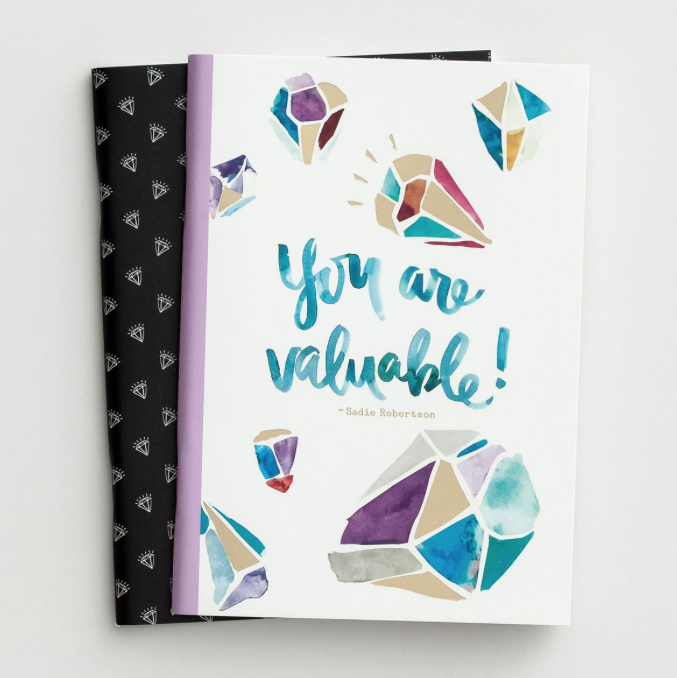 >>PERFECT journals for a Mom-and-me journal at Dayspring –Lydia and I have the “There’s No One Else on Earth Like You” one. Tell me you don’t want that book right now! I’ve met Vicki Courtney in real life, heard her speak and follow her online–she is smart, funny and again, that been-there-done-that-has-good-adult-children you want to sit you down for a cup of coffee. 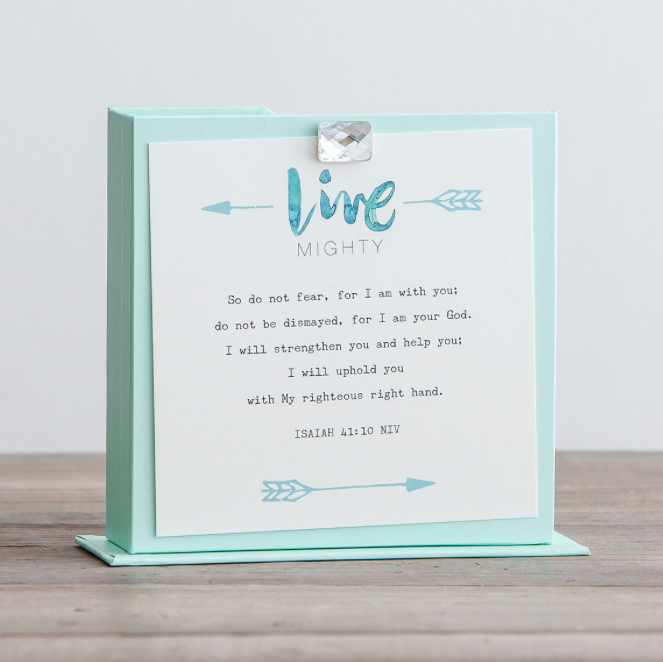 She also has a new tween devotional out and a Mother-Daughter journal. I haven’t looked through any of them in real life, just on Amazon–but I’m sure they are worth a look through! Wild Things by Stephen James // I have heard so many good things about this from my MOB Society friends. I just stared it recently and wished I’d picked it up years ago. Now. 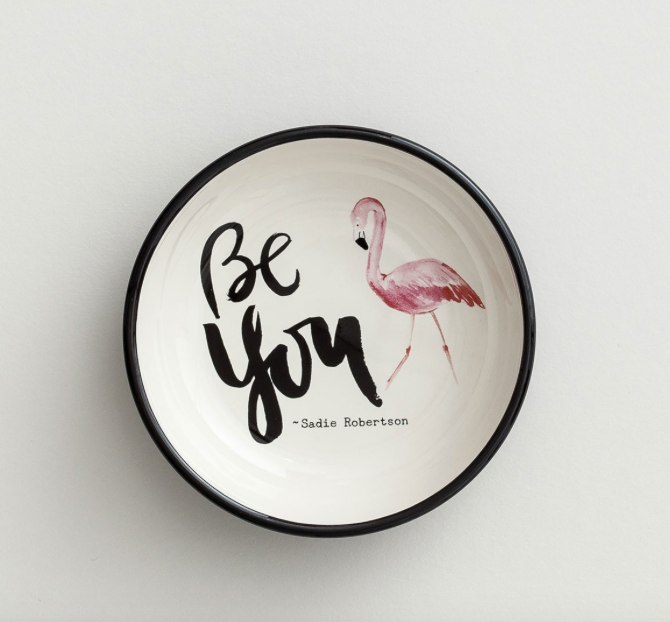 How ’bout some stuff for your tween? It’s so easy to let you kid jump straight from Disney Junior to regular adult shows. Or Kidz Bop to the VMA awards. But just as they are inbeTWEEN ages, their hearts and minds are in between, too. Let them grow slowly and tentatively step into teendom. Yancy // You guys know I love Yancy. She makes music for kids. But she also makes perfect tween/teen/family music, too. She has been the headliner for a pre-teen ministry called Super Start for years and is just the coolest. Some of her fab lyrics: “I want my life to be the evidence of You. I want the way I live to be somebody’s proof. In every word I say. In all I try to do. I want my life to be the evidence Evidence of You” RIGHT??!! Yancy also suggested Britt Nicole for her great positive message and Love & the Outcome for their sound and use of Scripture. I am taking her suggestion and adding it them to my follow-listen-and-get-to-know-them! Mother-Daughter Book Club by Heather Vogel Frederick // I read these this year and was so impressed by them. It’s exactly what it sounds like–a group of girls and their moms have a book club. (So, my bookish heart is all aflutter when they read Betsy-Tacy and Anne of Green Gables!) The best part is the books are really about the moms’ and girls’ relationships. Although there are some boyfriend things smattered about, the boys are secondary characters. Caveat: The first book in the series is set in their 6th grade year. Every book they are a year older, so they do grow up a bit as far as boys, etc. is concerned. If your 10-12 year old is an above-average reader and needs something besides Hunger Games or whatever YA romance is popular, these would be a great alternative. Also, these aren’t Christian books. Just some of the best I’ve found lately for mom-daughter relationships. See more of my Middle Grade fiction book pics here! Just Sayin’ // This is a devotional I put in my daughter’s Easter basket this year. There are short 2-page devotions focused on a short passage of Scripture. There’s lots of doodling involved. It’s fun, simple and although I don’t think it’s a “Bible study” by any means, it’s good to get her in the habit of regular Bible reading and journaling. She really likes it. Adventures in Odyssey // I know I talk about this all the time but it is SO GOOD. The target age is 8-12 years old: TWEENS. The main characters are usually in Middle School. They are always having good interaction with their parents–or learning to have good interaction with them. The other thing I really like about it is the boy-girl relationships. There aren’t any boyfriend/girlfriend things going on but there are always best friends who just happen to be boy-girl. So, instead of a girl-centric episode all about girl stuff, it’s usually just kid stuff with a boy and girl main character. It’s the type of friendships I’d love my kids to have. 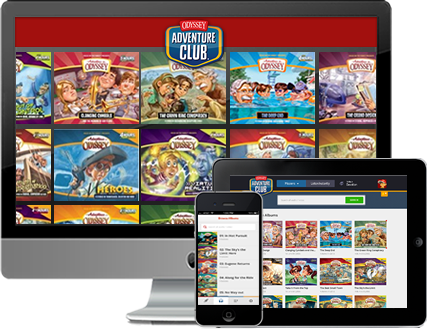 You can subscribe to the Odyssey Adventure Club for less than $10/month which includes a subscription to Clubhouse Magazine, another must-have item for your tween. Can I tell you the main thing you need to do right now? Go visit all these people online. If you’re a Facebook person, follow them on Facebook. If you love Instagram, find them on Instagram. Then, they will be in your feed. 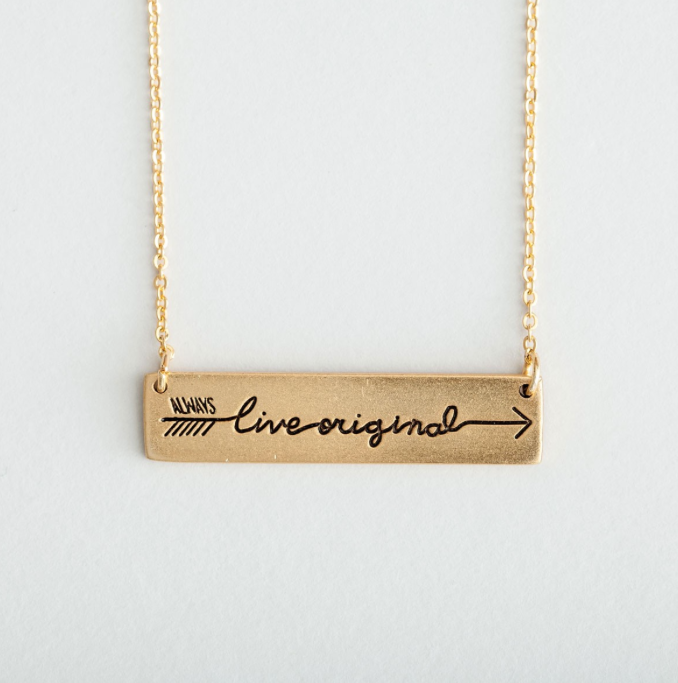 You’ll be reminded to be purposeful with this new and fleeting time in your tween’s life. Go back and click the links above so you can follow them, ok? There are many many more great resources out there and as I find more, I will definitely share them with you. Make sure you’re following me on Instagram and Facebook where I share lots of books I’m reading. Or join me on Goodreads!